Product prices and availability are accurate as of 2019-04-25 06:49:05 CDT and are subject to change. Any price and availability information displayed on http://www.amazon.com/ at the time of purchase will apply to the purchase of this product. 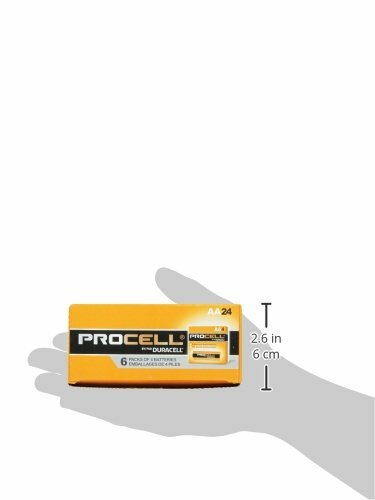 Duracell, 24 Pack 1.5V "AA" Size Procell Alkaline Battery, Industrial Bid Battery, Not Intended For Retail Sale. 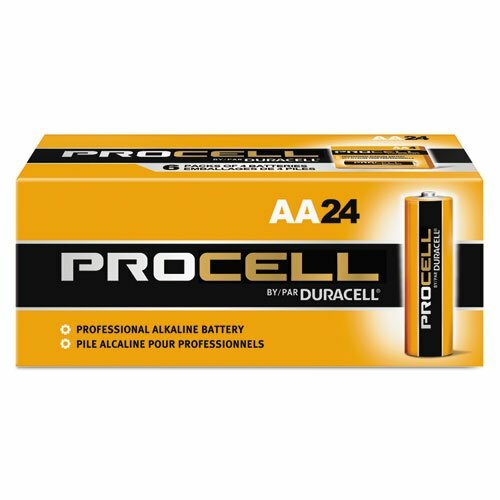 Pack of 24 AA Batteries 10 year shelf life (each battery is individually date coded to ensure freshness and guaranteed fresh for 10 years). Reliable operation in temperature between -4?F to 129?F Contains no added mercury ? No disposal issues. Increased battery life = longer service life, lower operating expenses, and an increase in productivity due to less man hours replacing batteries.